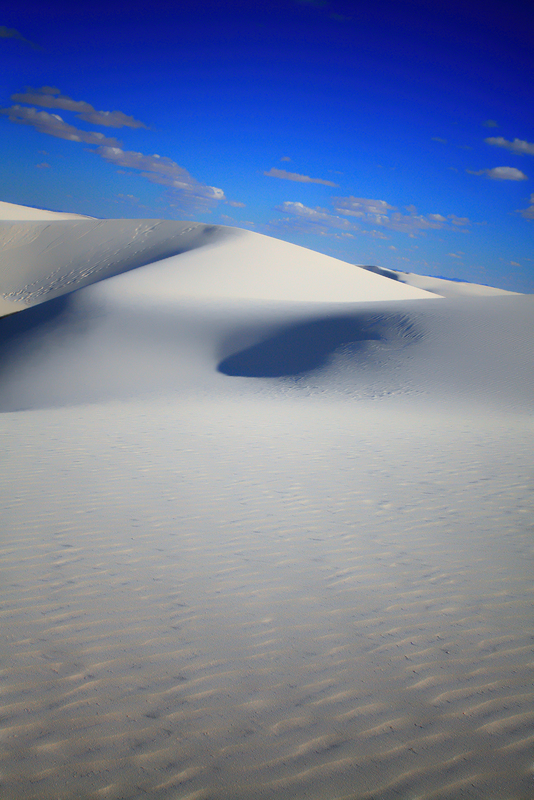 Looking like snow, the glistening white sands of White Sands National Monument is incredible. The "sand" is really gypsum dust which is soft and fine as the texture of flour. It is truly an amazing jewel in the middle of the desert.